It can be difficult to fit every tool you want for your home or office into one tool kit. Unless you have a shop, there are just too many options to keep the number of items under control. This is why multi-tools and innovative products are the perfect items for “shopless” buildings. Here are a few tools for the home or office that are too cool not to have. Have you ever tried to measure the distance between two walls but needed to get another person to hold the tape? The person may put the tape where it belongs. More than likely, he or she will place it a little differently than you would. This results is incorrect measurements, frustration, and possibly the loss of a friend. That may be a bit drastic, but none of this is a problem with the VH-80 Bilateral Laser Distance Measurer. No, it’s not a measuring tape. It’s better. The VH-80 is a handheld device that can be held at any point in between the two things being measured. It then uses a laser from each end of the device to measure the distance, and it totals the numbers for a precise measurement. Not only does it allow for one-handed measurements, but the VH-80 offers many other features. You can use it to continuously measure down a wall for the even placement of portraits. It will compute the area or volume of a space. It will even use the Pythagorean Theorem to make indirect measurements. All measurements can be recorded and manipulated through the use of an app. The VH-80 easily connects to smartphones via Bluetooth. 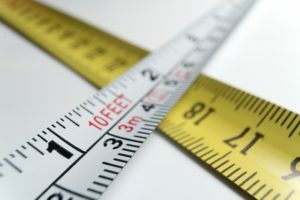 This item is too cool because it makes people want to throw out their traditional measuring tapes and even more modern types of laser measurers. The bilateral nature of the device makes it a winner for nearly any situation where you’d use a tape. If you have fluorescent lighting in your home or office, then you know what a pain it can be to change bulbs. Even worse is when a ballast breaks, and you cannot tell if it is a bulb or a lamp in need of repair. There are three ways that this device works. The first is by detecting whether or not a fluorescent light is burned out. The second is checking the ballasts, and the third is checking the pins. The first two tests can be performed without you ever touching the light, which removes a lot of the redundancy in troubleshooting fluorescents. This item is a bit expensive ($159 at Home Depot), so it may not work for a home with a couple remaining fluorescent light fixtures in the basement. 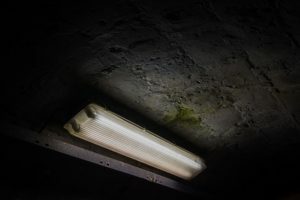 However, for large homes, barns, or commercial buildings that may have many fluorescent lights, this is a huge timesaver! You may think you’ve seen it all when it comes to innovative screwdrivers. If you haven’t seen the Hammerhead rechargeable, you have not seen it all. This screwdriver is more of a multi-tool, as it does so much more than driving screws. It has a circuit sensor to notify you if you are getting near a live circuit. It also has a flashlight, wire stripper, and wire bender. This thing is a dream for anyone installing new outlets in a home. If you’re still not convinced, check it out on their website (see link above). This thing takes screwdrivers to a new level. Vion has simplified the multi-meter by removing its cumbersome body. Instead, you work on with one set of probes that connects via Bluetooth to your smart device and app. This multi-meter removes all of the hassle of dials and leads without removing the accuracy and the complexity of diagnostic information needed by professional electricians. Seeing is believing when it comes to this product. There are many types of multi-meters out there, and they all have a sales pitch. Vion doesn’t need a sales pitch. When you see the product in action, you’ll want one. It is effortless compared to traditional multi-meters. Just two probes. That’s it. Bondic makes a liquid plastic that does not cure until it is exposed to ultraviolet light. This means you have time to adjust things once it is applied, which is unlike many glue situations. When you are ready for the liquid plastic to cure, it only takes seconds after exposing it to UV light. Because Bondic is not glue but actually liquid plastic, it does not simply join items together. Instead, Bondic becomes part of the item. In fact, you can actually build parts out of it. This is a game changer for many things from fuel tank repairs to glasses repairs. It comes in a convenient pen-sized case with a clip for the UV light. Who wouldn’t want this in their tool box?